REELECETED Councilor Crispin Posadas Jr. of Isabela, Negros Occidental was shot to death at the municipality’s public market on Magallanes Street around 5 p.m. on Wednesday. 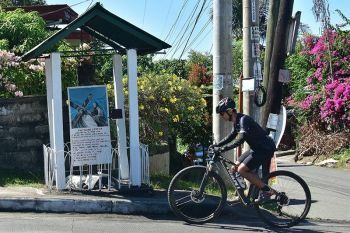 Posadas, 50, was gunned down almost exactly year after the town’s former mayor, Fifth District Board Member Renato Malabor, was killed along with his bodyguard in a cockpit near the area. Hours after the incident, the New People’s Army (NPA) owned up to the killing of Posadas, a former soldier from Barangay Cansalongon. The victim was the number three councilor in the town, and was reelected for his third and last term in the May 9 elections. Chief Inspector Anthony Grande, head of Isabela Municipal Police Station, said the victim had just alighted from his motorcycle when three armed men approached him at the parking lot near the terminal, and shot him. The victim was supposed to place a bet at a lottery station, he said. Grande added that the councilor frequented the area. “They have a pattern of his activities and have monitored his movements,” the police chief said. The victim was brought to a hospital, where he was declared dead. He succumbed to three gunshot wounds, including those on the head. The three assailants fled by commandeering a tricycle, which they later abandoned at Barangay Maytubig. Before they left, they fired two warning shots. 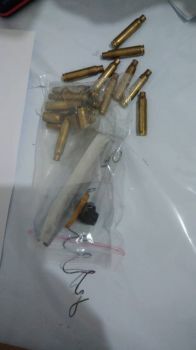 Police recovered seven bullet casings of .45 caliber and four bullet casings .9mm revolver. Ka Ann Jacinto, spokesperson of the NPA’s Leonardo Panaligan Command, said they perpetrated the killing, which was not politically-motivated. In a radio interview, Jacinto said the People’s Court found the councilor guilty of his crimes and had sentenced him to death. 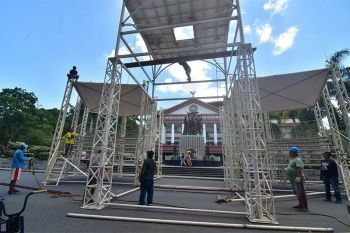 Jacinto claimed that the councilor was involved in illegal activities, including cattle rustling and drugs deals, and also accused him of being an active asset of the military. Grande said they will continue to investigate the incident even if the NPA had already admitted the killing. He noted that there was only one cattle rustling incident reported in the town last year and none so far, this year. Grande added that there were no police records that showed Posadas’ involvement in illegal activities. For his part, Col. Francisco Delfin, commander of the 303rd Infantry Brigade of the Philippine Army based in Murcia, strongly condemned the killing of Posadas. "The Brigade condemns the killing of innocent civilians done by the NPA. Let us not allow more of this senseless attacks and losses of life to continue,” he said in a statement. On June 28, 2015, Malabor and his bodyguard Leody Jomilla were gunned down outside a cockpit in Asenso Village, Barangay Guintubhan, which is three kilometers away where Posadas was killed. The suspects, Police Officer 1 Robert Chloe Rito, Jacklyn Villaquer, Felipe Juntarciego, Eduardo Jugos Jr., Alias Taming, Alias Nonoy, Alias Jason, “John Does” and “Peter Does”, are facing charges for double murder.